ECHS Polyclinics Chennai Jobs Recruitment 2017 for Medical Specialist, MO, Dental Officer, Hygienist, Pharmacist Posts: ECHS polyclinics under Station Headquarters, Chennai Recruitment Notification for Medical Specialist, MO, Dental Officer, Hygienist, Pharmacist – 08 vacancies. Interested for getting Medical Specialist, MO, Dental Officer, Hygienist, Pharmacist Vacancies, May Apply on or before 31-05-2017 Hrs on Wards. Qualified in 10+2, Diploma, B.Pharmacy, BDS, MBBS, MD/ MS. Interested candidates can apply application form can also be downloaded from visiting website: “www.echs.gov.in” and along with self attested copies of all supportive documents residence Certificate, One recent Passport size color photograph, Self addressed should reach in the “Station Headquarters(ECHS), Fort Saint George, Chennai – 600 009” by post on or before 31-05-2017 Hrs on wards. Last Date for Application: 31-05-2017 PM Hrs. Walk-In-Interview: 07-06-2017 at 09:30 AM Hrs on wards. 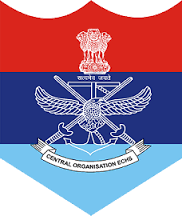 Relevant Addresses in “Station Headquarters(ECHS), Fort Saint George, Chennai – 600 009”. ECHS Polyclinics Chennai Jobs Recruitment 2017 Officer-in-Charge, Med Spl, MO, DO, Physiotherapist, DEO/ Clerk Posts: ECHS polyclinics under Station Headquarters, Chennai Recruitment Notification for Officer-in-Charge, Med Spl, MO, DO, Physiotherapist, DEO/ Clerk vacancies. Interested for getting Officer-in-Charge, Med Spl, MO, DO, Physiotherapist, DEO/ Clerk Vacancies, May Apply on or before 11-01-2017 Hrs on Wards. Qualified in BDS, MBBS, MD/ MS, PG Degree/Diploma for post, Graduate with Knowledge of Computer for post no.7. Interested candidates can apply application form can also be downloaded from visiting website: “www.echs.gov.in” and along with self attested copies of all supportive documents residence Certificate, One recent Passport size color photograph, Self addressed should reach in the “Station Headquarters(ECHS), Fort Saint George, Chennai – 600 009” by post on or before 11-01-2017 Hrs on wards. Last Date for Application: 11-01-2017 PM Hrs. Walk-In-Interview: 18-01-2017 at 09:30 AM Hrs on wards.